Oppo Mobiles are India's trusted mobile brand. 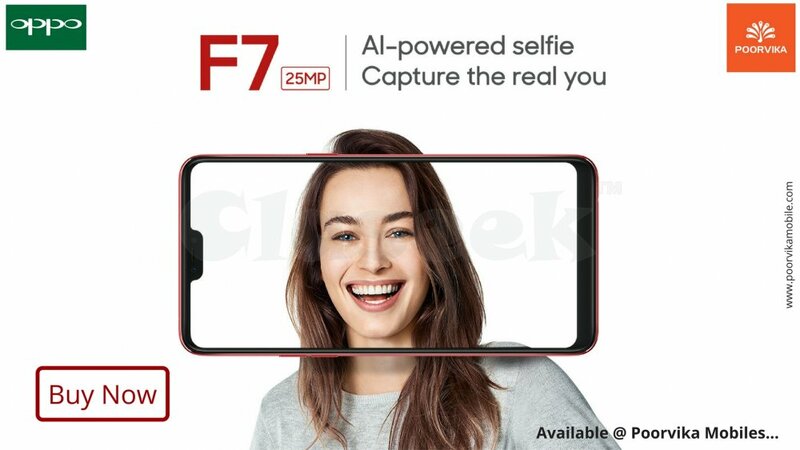 This Company newly launched Oppo F7, Its is really awesome the mobile is full of AI-Artificial Intelligence technology, The mobile it comes with 4GB RAM + 64GB ROM, Oppo F7 is a 25MP AI selfie camera with sensor HDR, and 16MP rear camera with AI recognition technology. The revolutionary viewing experience of 6.23" inch FHD+ Super Full Screen. The mobile is looking glossy unique design made for perfection that satisfies the mobile lovers. Poorvika Mobiles provides the best offers and deals for Oppo Mobiles. To check Oppo Mobile Phones Price List in India at Poorvika Mobiles.